The cast of Motown the Musical really had something to sing about on June 26! After their performance, the stars assembled on stage at the Lunt-Fontanne Theatre to celebrate the hit musical’s 500th performance on Broadway. 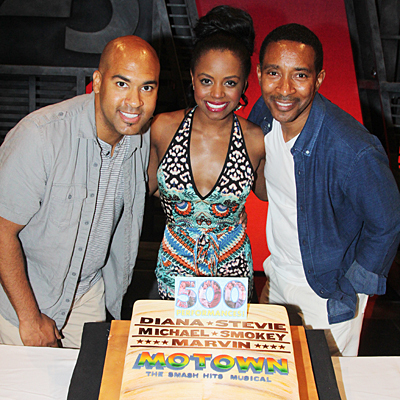 Motown stars Josh Tower, Krystal Joy Brown, director Charles Randolph-Wright and more were on hand to eat some delicious cake in honor of the momentous milestone. Check out these Hot Shots of the cast celebrating, then see them Dancing in the Street on Broadway!